This song is referenced by Song 021 – Dunes. 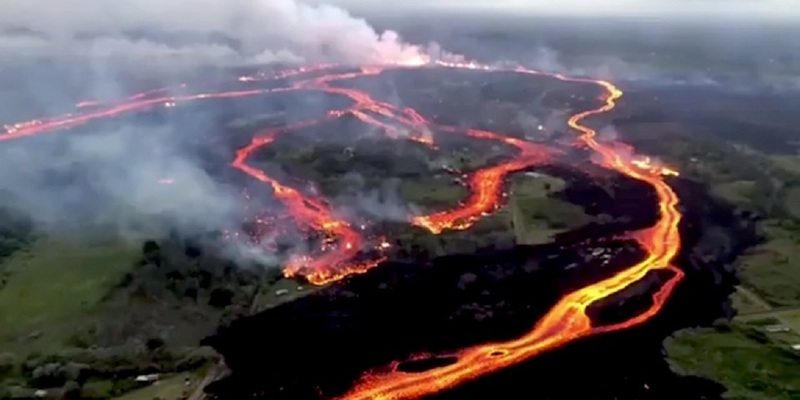 In talking about eruptions, it seems appropriate to write about ongoing lava flows from the Kilauea volcano in Hawaii. The photo to the left and the extended photo come from Business Insider. 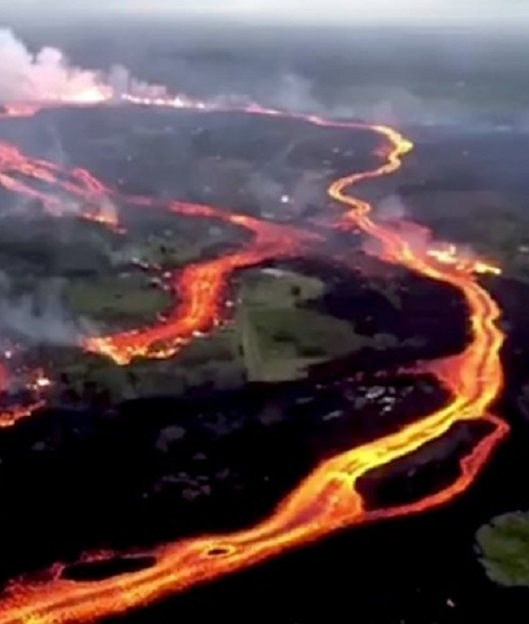 Even though eruptive activity is “probably” over, this stretch of Hawaiian coastline has been dramatically altered by lava flowing into the ocean after the initial eruption on January 3rd, 1983, and more recently by the eruption between May 17th, 2018 and August of 2018. This area is likely to remain unstable for many months, if not for years. The images of this ongoing eruption help us to understand the tremendous power of a volcanic eruption. 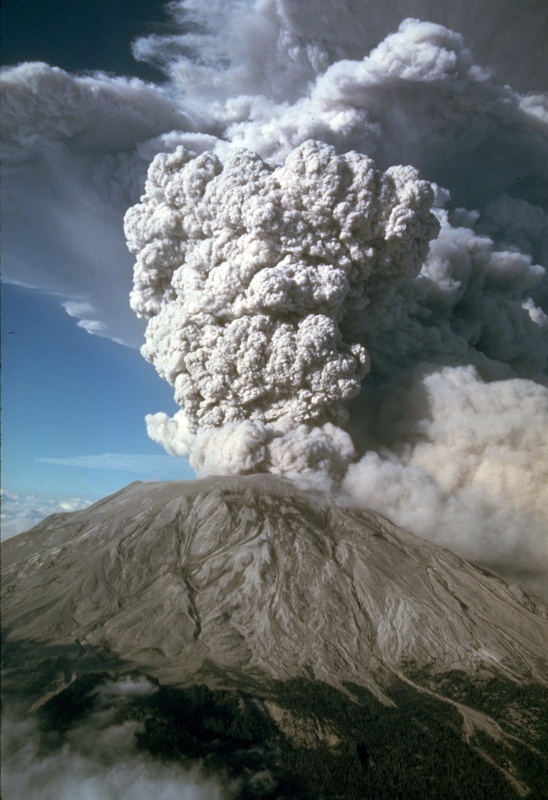 Those of us who remember the eruption of Mount Saint Helens on July 22nd, 1980 have a little more feel for the power of a volcanic eruption. The Krakatoya Eruption which occurred on Sunday afternoon on the 26th of August 1883 was one of the largest eruptions in recorded history. By Monday, the 27th of August, 70% of the island and its surrounding archipelago were destroyed, as it collapsed into a caldera. 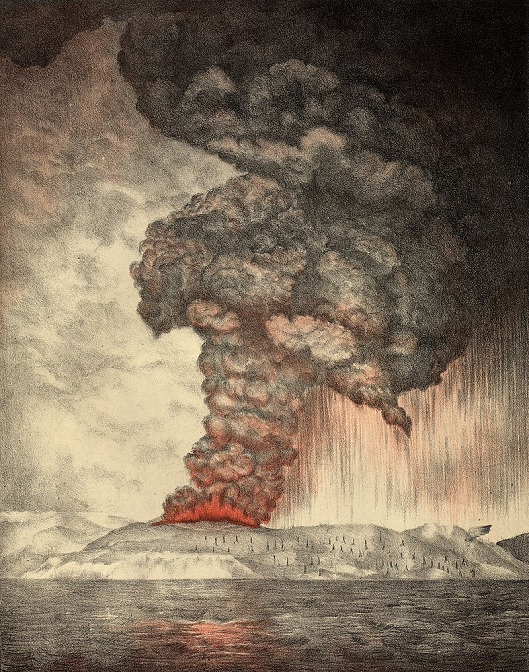 An 1888 lithograph shows a view of the eruption. The year following this eruption Northern Hemisphere summer temperatures fell by as much as 2.2°Farenheit. The Mount Tamora eruption of April 5th, 1815 on the island of Sumbawa in Indonesia resulted in an extremely cold summer in 1816 in Vermont. This was when Joseph Smith’s family moved to New York, where The Church of Jesus Christ of Latter-Day Saints was restored. Based on the amount of ejected material from eruptions from the Yellowstone caldera (see description and map in Song 071 – Yellowstone), all of the above eruptions were very small. Then think of the impact of the eruptions and pyroclastic flows from the volcanic activity just before Christ came to ancient America, as recorded in The Book of Mormon (see the description of Song 395 – Sing Together). The song takes this concept of a volcanic eruption, as defined in the Glossary of Geology by Bates and Jackson (pages 222-223), and summarizes what is known about eruptions.